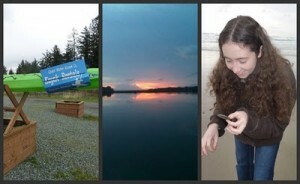 I’ve been in the Nehalem Bay area for just two days, and already I’m planning my next visit. (I’m hoping to come back in a month or two, when it warms up enough to kayak without shivering.) Rarely do I stumble upon a getaway that has everything I need, everything I want (two different things) and no gaggles of people around to disturb the perfection. Here to tempt you is a photo tour of the area in the form of a wish list, sharing just a few of the highlights that make this such a great place to chill. But all it takes is one great chef and you’re set, and he’s here in Wheeler, having relocated from top restaurants in various coastal settings, including Cape Cod. Both nights we ate there, the tiny dining room was packed with diners who couldn’t stop commenting on the freshness and creativity of the dishes. Ron, Pepi, and their grown children run Rising Star like a community project, with $10 pasta nights on Thursdays and movie nights in which diners can take their meals across the street to the family’s other business, the Treasure Tea Room. Wish list item #3: Great sunset views. Yep, here they are, right out the window of the Old Wheeler Hotel, which is on the second floor directly overlooking the bay. Wish list item #4: Lots of outdoorsy things to do. Well, heck yes. 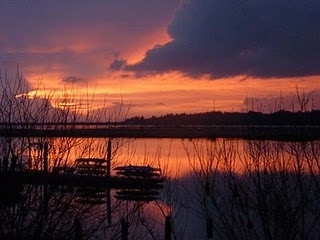 • Nehalem Bay is like a playground for kayakers; just enough current and waves to make things interesting but protected from the stiff winds on the coast. • Nearby Manzanita beach is seven miles of rolling surf and squeaky clean sand scattered delicately with sand-dollars and shiny black stones. Dogs are allowed off-leash, too. • Looming Mount Neah-kah-nie is a stout climb up pine-shrouded slopes to one of the best views on the Oregon coast. • Nehalem Bay State Park has yurts you can camp in, horseback riding through the dunes, miles of hiking trails, world-class birdwatching, and the chance to spot elk grazing. Wish list item #5: A massage at the end of the day. Between the three tiny towns of Wheeler, Nehalem, and Manzanita, you have not one but two spas and a number of independent massage therapists to choose from. Spa Manzanita is a full-service day spa where I had an anti-aging facial to rival those at world-class resort spas. Groovy new Rainbow Lotus Healing Center, newly opened in Nehalem, offers seasonal treatment packages using all-natural herbal therapies. 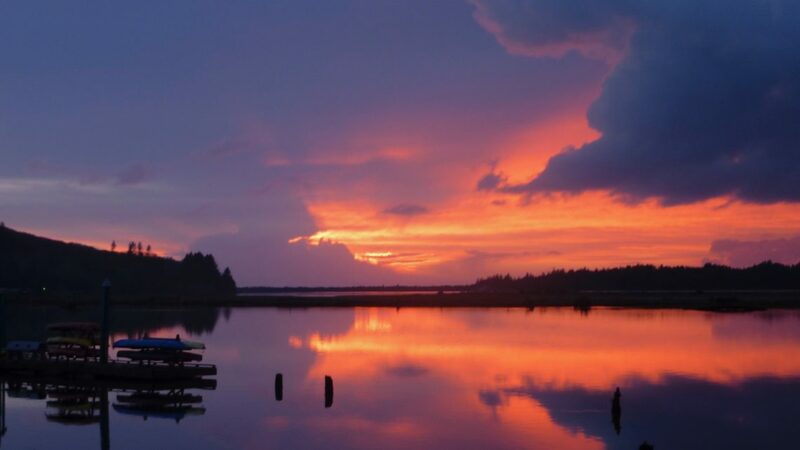 With the Old Wheeler Hotel to host your stay, Rising Star Café to feed you in style, and the river, sea, and mountain to keep you busy, this tiny triangle of towns is destined to be the new “undiscovered gem” of the Oregon Coast. I highly advise discovering it before others do.